Not only does Dan Dainton seem to be doing a remarkably good job of continuously collaborating with fellow brewers, he's managing to flit between states at a rate of knots while doing so. 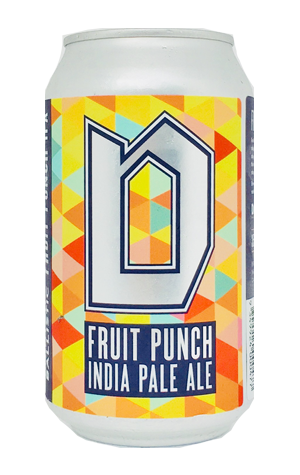 This time around, his partner-in-crime is Lachy Crothers, head brewer at Brisbane's Ballistic and their joint effort is an IPA loaded up (as most Dainton beers seem to be these days) with added fruit, in this case passionfruit and pineapple. It's a combination that saw them leave Ballarat Beer Festival with the people's choice award for best beer, said people presumably impressed by what we imagine was already a fruity IPA just from the hopping regime but which takes on extra body and more fruity sweetness via its tropical injection. There's enough bitterness to cut through the fruity sweetness, a bitterness that sticks around a while too, joined by a spot of tingling, boozy warmth.